Are YOU wanting to keep costs down and involve everyone this year? Have a read of this…..
…As I make my way into my Thirties, every year there seems to be more friends getting Hitched! 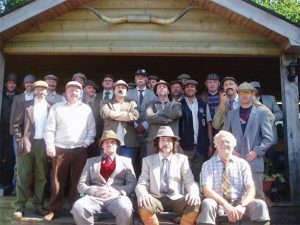 The Wedding Day is all good fun but I think most of us nowadays look forward to the Stag and Hen Parties more! (or maybe that’s just the lads?!). The fashion at the moment seems to be one local event in the UK and another event abroad! All good fun but it does has it downfalls in the ways of booking holidays off work and can hit the bank balance quite hard! One weekend away last year cost me over £700! But hey ho it is a one off! A few friends of mine and myself included have had to say no to certain weekend already this year just because there is so many, mortgages and children seem to get it the way plus the Euro isn’t as cheap as it used to be! 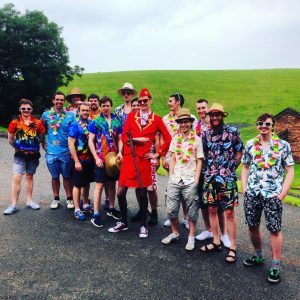 At Adventure Cheshire we see thousands of people every year on Stag and Hens Weekends and i think now more than ever with the Brexit business, its appealing a lot more to people to stay in the UK. Its good for us that we are so close to Manchester, Liverpool and Chester, three very popular destinations for the evenings of the weekends. Even Warrington has been the chosen night out for some!! 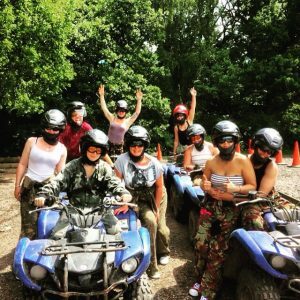 Clay Shooting, Quad Biking, Paintballing, Archery and Air Rifles are all on offer and a full day of activities wont break the bank! It’ll leave everyone fulfilled due to doing something that bit different than maybe just sat in a pub all weekend, after all there’s plenty of time for that! After activities the Bar in our Lodge opens and many will sit outside on the grass on a sunny afternoon and laugh about the days antics with a nice pint! Minibuses arrive, some make their way to the train station and head off to their city of choice to continue the weekend. The atmosphere is fantastic, hundreds of people all here to have a great time and that is what we pride ourselves on giving. So if you are planning an upcoming weekend and you want to accommodate everyone, as well as keeping the cost down, check us out first! You’d be doing something memorable that everyone will definitely love. Its a bit different too, but its guaranteed to entertain and provide a lot of laughs and things for everyone to talk about for years ahead! Sound like something you’re after? Adventure Cheshire at Catton Hall is Cheshire's premier outdoor activity venue. 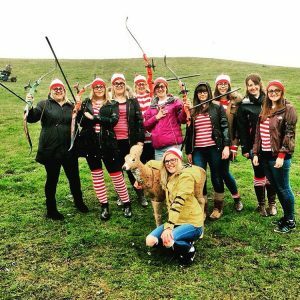 We offer a range of activities such as clay pigeon shooting, quad biking, air rifling, falconry, paintball, and archery. 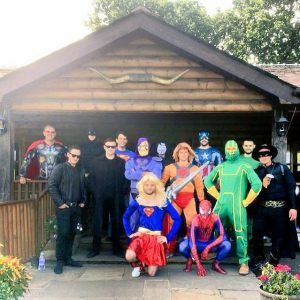 So whether you're organising a corporate team building day, a stag or hen party, or you just want a great day out, we've got you covered. Enter your email address to get the latest news and offers straight to your Inbox. Follow us on social media and share with us your own #AdventureCheshire. Thanks for filling out the form. We will get back to you as soon as possible.